22. Preface to Synge gikyoku zenshû (Collected plays of Synge). Tokyo: Shinchosha, 1923. Reprinted in Prefaces and Introductions. In this brief work dated December 1921 Yeats refers repeatedly to his interest in Japanese literature, and acknowledges that it has been a ‘help’ to him. Particularly noted are the ‘ancient poetry’, which has ‘come to mean so much’ to him through the translations of Waley (see D26) and others, Nishikigi (BK8) and the nô, and the ‘diary of one of your court ladies’, surely a reference to Diaries of Court Ladies of Old Japan (BI9), which had appeared in Boston and London in the months before Yeats wrote this work. 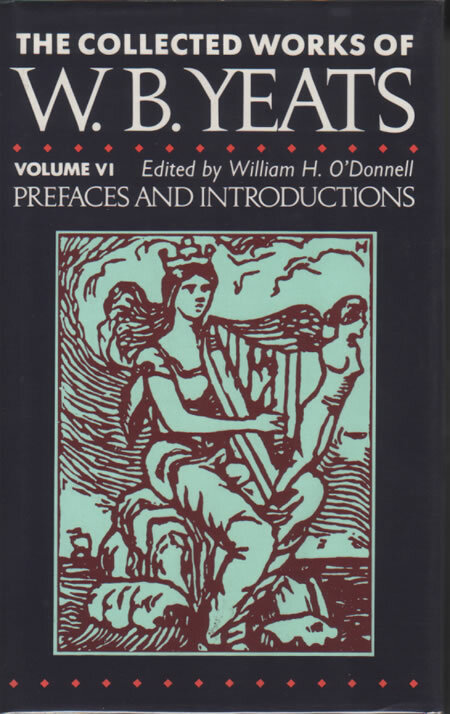 Reprinted in W. B. Yeats: Prefaces and Introductions, edited by William H. O’Donnell (London: Macmillan, 1988).